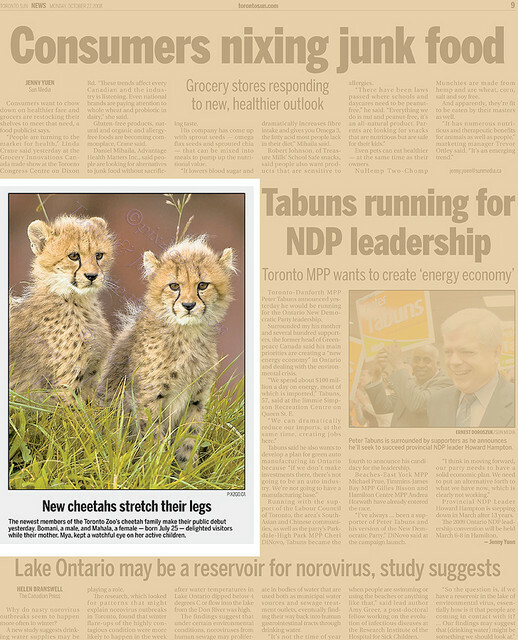 Description : The Toronto Zoo has added two baby cheetahs (Acinonyx jubatus) to its African Savanna exhibit. Bomani (male) and Mahala (female) were born on July 25. On Oct. 26, the three-month-old cubs delighted zoo visitors while mother Mya kept a watchful eye on her active children. Cheetahs are our favourite of the big cats -- and these two certainly didn't disappoint.